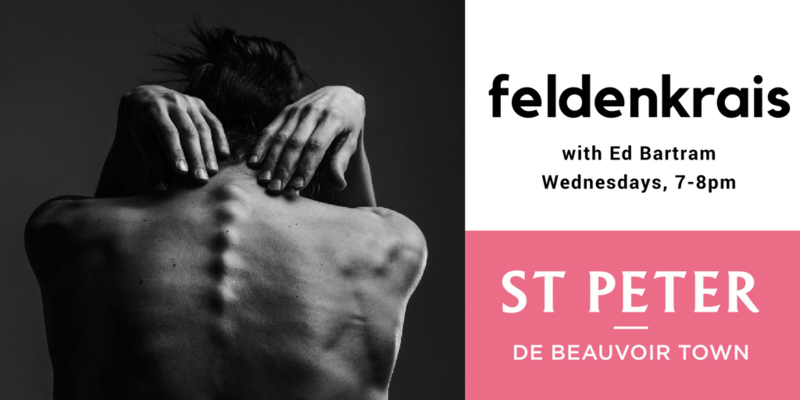 Wednesday evenings at 7pm bring Feldenkrais to the Crypt of St Peter De Beauvoir! Feldenkrais brings more colour and zest to your life, enables you to find freedom from pain, and helps you to focus on the here and now. Feldenkrais is particularly effective in dealing with issues of chronic pain. It can help you regain lost function in everyday activities – such as walking, sitting, or standing – which might be causing you trouble at work, or at home. It can also work really well with those who have neurological conditions, or who have suffered strokes; or for sports people or musicians who need to perfect or find a pain-free way through their working lives. Find out more about Ed Bartram’s work at moving lessons.co.uk.